We are an independent limited company. Specialising in the production of high quality promotional and corporate printed materials and gift items. Affordable prices for clients within Maidstone and Medway, Kent. We do also serve the rest of the UK, as we get preferential rates for shipping direct from DHL and TNT. We basically Print On ANYTHING in Maidstone and Medway, Kent. We are the licenced printing.com franchise for Maidstone and Medway, Kent, and the rest of the UK. In addition to print, we offer a FULL Design Service if required. We can produce images in full colour. Which in the case of badge printing, can then be coated with epoxy resin, to give that elegant ‘domed’ finish. These can be used to promote your company or your products in Maidstone and Medway, Kent UK. We can make Digital Rubber Stamps. Many clients use digital rubber stamps with self inking, the rubber stamp is made in minutes at laser-print quality. Ideal for Businesses, Library, Schools, Hospital, Retail, industrial, personal, and many more applications for use. 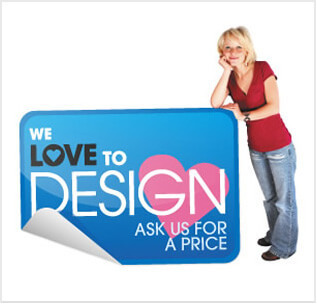 Also available are large format staples printing, specialising in architectural prints, drawings, blueprints, size A0. Hanging banners and roller banners can be produced in house too, with durable materials and quality. We offer all types of print products for you to have a ‘corporate look’, without having to pay ‘corporate prices’. Business cards, leaflets, brochures, folders, booklets, flyers, bookmarks, letterheads, complement slips. Whether you are looking to give out printed gift items, or promotional items to your customers or staff in Maidstone and Medway, Kent. We can offer you personalised printed and affordable solutions. We offer all types of print products for you to have a ‘corporate look’, without having to pay ‘corporate prices’. We use the highest quality full colour litho printing and also modern digital printing methods (where appropriate). With over £15 million investment in huge four colour litho printing. We are able to turn around print quickly and to the highest quality possible in print today.